HTC is going to the Grand Ole Opry! Yes-- October 5th! Stay tuned for details! HTC won 2 Wammies at the 22nd annual Washington Area Musicians awards ceremony! HTC performed with Bob Schieffer and had a blast! HTC also got a lot of press after its appearance with bob at the Paley Center Gala at the Waldorf-Astoria last month, including a piece in the NYT. for CBS News and anchor of Face The Nation, wrote the lyrics to four of the tunes, and he sings his own "TV Anchorman." The CBS newsman brought an extra bit of star power to the Wammies last night, presiding over the Washington Area Music Association's annual trophy giveaway as an emcee -- and perhaps setting the stage for his own Wammie win. There was plenty of what-about-Bob buzz at the State Theatre in Falls Church, where the local music industry gathered to celebrate itself and awards were handed out to a seemingly never-ending list of regional songwriters, singers, soloists, drummers, guitarists, producers, engineers, conductors and such. More than 100 Wammies were given in 21 genres, covering everything from country, children's music and classical to traditional folk, gospel and go-go. Grace Griffith took home the night's biggest haul with four awards, including two of the most significant: Her "My Life" was named album of the year and the folk singer from Southern Maryland was named co-artist of the year along with the Junkyard Saints, a Baltimore-based New Orleans-style party-music band. "My Life" also won the best contemporary folk album award and the singer received a special recognition award. Griffith was found to have Parkinson's disease in 1998 and no longer plays instruments, but continues to perform and record. It was a big night, too, for Dave Kitchen: His group the Thrillbillys won best debut recording for "Live at the Sunset Grille," and Kitchen himself was named songwriter of the year. His tune "Love Is Blind" also shared the song of the year award with Honky Tonk Confidential's "Who Gets the Fruitcake This Year." HTC's holiday album of the same name won for best country recording as well as best record design. 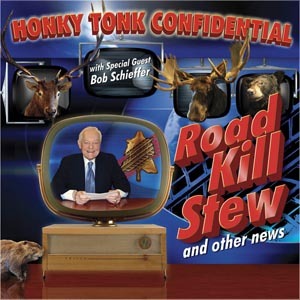 But it's the group's next recording that's certain to garner the most attention: "Road Kill Stew and Other News," due out at the end of this month, features a most unusual collaborator in Schieffer, who wrote four songs and even sings on one of them -- the appropriately titled "TV Anchorman." Emmy, schmemmy: Schieffer already has six of those. But a Wammie? For now, the "Face the Nation" moderator and occasional singer-songwriter can only dream. "I hope we win next year," Schieffer said offstage. "It's really a good little CD." He was standing in the theater lobby surrounded by musicians hoping to have their pictures taken with a network newsman. Schieffer called himself "a fledgling songwriter." 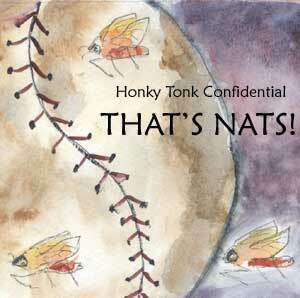 Members of Honky Tonk Confidential called him their secret weapon. Earlier Schieffer stood at the lectern wearing a tuxedo jacket, bow tie, bluejeans and cowboy boots, trying to keep a straight face as he announced the winner of the best choral group award, the Suspicious Cheese Lords. Other attendees also wore their awards-show finest: cocktail dresses and treble-clef ties, and purses shaped like guitars. There was also Cletus Kennelly, winner of the contemporary folk duo award with Lori Kelley, wearing a red jacket and bright orange fishing cap. Last year, the Wammies introduced the eligibility-killing emeritus awards to unclog categories in which the same names were called year after year after year. So some of the local music scene's biggest names were absent from the awards -- among them go-go godhead Chuck Brown and the bluegrass greats the Seldom Scene. In Brown's stead, Rare Essence was named go-go group of the year and E.U. drummer William "Ju Ju" House won the genre's instrumentalist award. In the bluegrass category, Randy Waller and the Country Gentlemen won for best group as well as recording of the year ("Keeper of the Flame"), and the band's three-finger banjo picker, Mark Delaney, won for best instrumentalist. The original Country Gentlemen -- the group led by Waller's late father, Charlie -- were inducted into the WAMA Hall of Fame, along with Ahmet Ertegun, the legendary co-founder of Atlantic Records who died last year, and Sophocles Papas, the famed guitar teacher whose students included Charlie Byrd. Radio host Mary Cliff was the recipient of the night's big rah-rah award: Most supportive of Washington music. Cliff's long-running "Traditions" show was removed from WETA's schedule last month when the station switched to an all-classical format, but it quickly found a new home on WAMU. The ceremony was marred by the usual issue of attendees talking over the performers and speeches. There may be no room more difficult to play than one filled with musicians -- especially when the drinks are flowing freely. One solution: Crank up the guitars, which the Baltimore rock band Fools and Horses did, thus drowning out the crowd. Blues singer Robert Lighthouse wasn't as successful; the songs in his solo acoustic performance seemed to evaporate somewhere between the stage and the back bar. Back to you, Bob. THAT'S RIGHT!!! We have a song about the NATS called That's Nats! WTEM plays it just about every day at 4:45pm during its NATS segment, and it's been played on local radio stations (WTOP), TV stations, and at RFK stadium itself. We're lobbying hard to get the Nats to invite us to play at a game next season. Whaddya think? Besides its release as a single, it's also on HUNGRY FOR MUSIC's latest baseball compilation, Diamond Cuts Centerfield, Volume VIII, along with HTC's American Pastime in Black and White. You can buy the CD from us (go to our website store) or visit Hungry for Music's website. Other Great News: We're happy to welcome Sam Goodall into the fold; Sam a fantastic bass player, an all-around nice guy, and he can sing, too! Diana won WAMMIE for record design (see the watercolor painting above) for her "That's Nats" cover! HERE's a story on Washintonpost.com about the WAMMIES - and with a bit about US. Also, our good friend Fred Reed has written about us in his totally terrific online column, FRED ON EVERYTHING. YOUR TRAILER OR MINE? did extremely well this year, with rave-up reviews and lots of airplay around the world. It debuted at NUMBER ONE on the Freeform Americana Roots (FAR) radio chart. The CD is played daily on XM SATELLITE RADIO and has been reviewed in the Washington Post and Journal Newspapers and the latest edition of No Depression. HTC is also featured and the CD is reviewed in the current issue of Country Standard Time!! WOO HOO!! All GREAT reviews (see our review page). 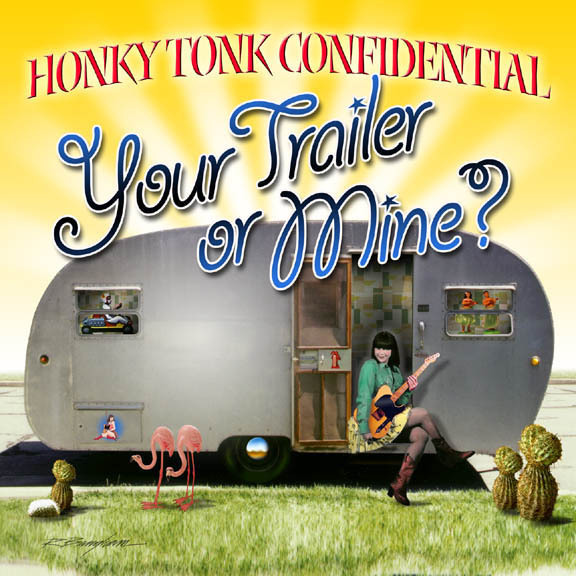 Honky Tonk Confidential is one of Washington D.C.'s finest and best-known country/alt country/retro country bands, and the group's second album is yet another twangy goldmine of clever and well-crafted songs. Most of the 16 songs on Your Trailer or Mine? were penned by Diana Quinn, Geff King and Mike Woods, but the band asked several of its songwriter friends, including Evan Johns, Tex Rubinowitz, Louise Kirchen, Elena Skye and Buddy Woodward, to contribute tunes for the project. Good friends Ken Harnage wrote the title song, "Your Trailer or Mine?" and Fannie Zollicoffer wrote the bulk of "I Love the Bartender." The result is an exciting mix of energy, wit and style. “We call it -- 16 songs about loving, drinking, cheating, murdering and dying,” said HTC vocalist and guitarist Diana Quinn, adding, “The CD has a little bit of everything, but it’s definitely not for everyone. We’re never satisfied with the ordinary and well-trodden; we have to twist it up a little bit.” That’s evident in wry tunes such as “Check-Out Time,” about one last stay in a motel room; “Your Trailer or Mine?” about a slightly sick romantic relationship, and “Cowboy Whatcha Got on Me?” which takes a well-aimed pot shot at modern top 40 country music. HTC also shows off its versatility with a broad range of styles, from the bluegrassy “Pee Wee’s Gone,” to the rockabilly-flavored “Rock Creek Crawl” and surf-like instrumental “Sancho Panzer,” as well as the pure unadulterated honky tonk for which HTC is known. Mike Joyce of the Washington Post wrote a terrific review of Your Trailer or Mine? in the Weekend Section. He said, "The songwriting by Geff King, Diana Quinn and Mike Woods is sharp and often funny....The music, too, celebrates vintage jukebox sounds, with smooth three-part harmonies, a blend of twangy and gliding guitar tones produced by Woods and pedal steel player Bobby Martin, and drummer Dave Elliott's sure-footed motion." To read more kudos, visit our REVIEW PAGE! Your Trailer or Mine? is currently available at our shows, here on our website, where we now take credit cards, on amazon.com and at The Music Loft, in Arlington, Virginia. The CD will soon be available at milesofmusic.com, cdnow.com and villagerecords.com, as well as your favorite local record stores. Please start asking for it! To order by mail, please send $15 plus $2 for mailing costs ($17 total) to Honky Tonk Confidential, 1203 East Capitol St., S.E., Washington, D.C. 20003-1440. We can also take credit card orders over the phone!